Anti-Muslim hate crimes have risen alarmingly in the U.S., according to CAIR, a leading Muslim advocacy group. Amid President Donald Trump's rhetoric against Muslims and immigrants, anti-Muslim sentiments are spreading among Americans – especially Republicans – who are more likely to hold negative perceptions of Muslims, based on a recent survey. According to research conducted by the New America Foundation and the American Muslim Institution, two in five Americans think that Islam is not compatible with the country's values. Among Republicans, the percentage is higher with 71 percent of them feeling uncomfortable with Islam. About 56 percent of Republicans also admitted they would be concerned if a mosque was built in their neighborhood, the study reveals. Since the 2016 presidential election, President Trump's views expressed on the campaign trail and from the Oval Office have stoked the fire of Islamophobic rhetoric in the political mainstream, proliferating hate speech and anti-Muslim sentiment. According to a leading Muslim advocacy group, the Council on American-Islamic Relations (CAIR), the number of anti-Muslim hate crimes in the U.S. rose 91 percent in the first half of 2017, compared with the same period in 2016. The most frequent type of incidents, documented by CAIR in the second quarter of 2017 involved harassment, defined as a non-violent or non-threatening incident. The second most common type of bias incidents was hate crimes and involved physical violence or property damage. CAIR said the most prevalent trigger of anti-Muslim bias incidents in 2017 remains the victim's ethnicity or national origin, accounting for 32 percent of the total. Hate directed towards Islam has motivated many Muslims in the United States to enter politics, said a Muslim lawyer and contributing opinion writer for The New York Times. In an op-ed published Tuesday, Wajahat Ali said Muslims' presence in American politics "probably inspires fear" among those who support a ban on travelers from several Muslim-majority countries, a wall along the Mexican border and increased restrictions on refugees. Ali cited a report by The Associated Press in July that revealed that it "is precisely the bigotry and hate that has been directed toward Islam – including in remarks and tweets by Trump – that has motivated so many Muslims to enter the political arena." 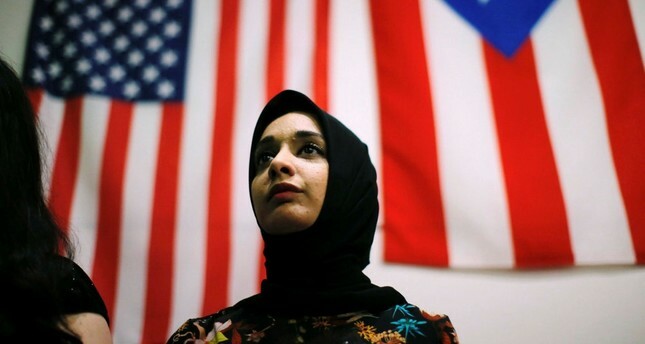 For the upcoming midterm elections, across the nation, at least 65 Muslim-Americans are in the running for a variety of state, local and federal posts, according to Jetpac, a nonprofit working to increase Muslim-American civic engagement. That is up from the nonprofit's previous estimates of around 40 candidates as more individuals have been found in contests that are relatively lower on electoral ballots and garner less media attention. In all, at least 128 Muslim-Americans are running for office in this election cycle, the highest number since the Sept. 11, 2001 terrorist attacks, according to Shaun King, Jetpac's co-founder and executive director.